The Addams Family is a dark yet loveable group of fictional characters originally created by cartoonist Charles Addams and later expanded to television and movies. Not like your typical American family, The Adams family is a well-to-do, bizarre family who love all things macabre. Part of the humor of the Addams Family is that they are completely oblivious to the fact that people find them eccentric and scary. 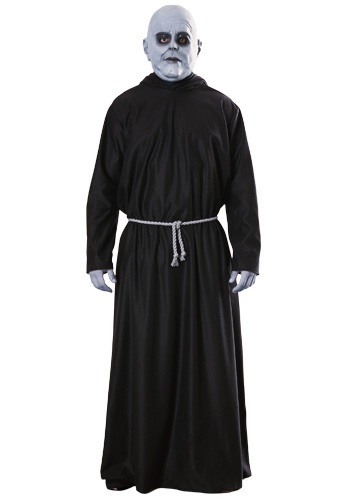 It is a snap to find an Adams Familycostume to suit your personality with so many extended family members living under the roof at 0001 Cemetery Lane. 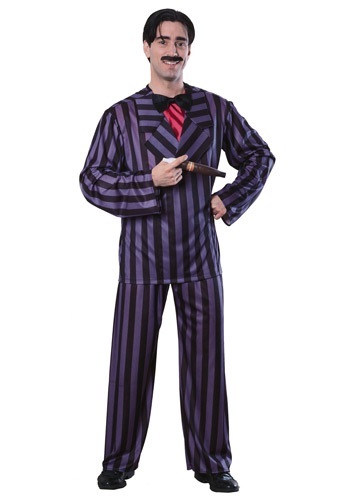 Suit up in a black pin-striped number as Gomez, the patriarch lawyer with a child-like fascination with model trains. 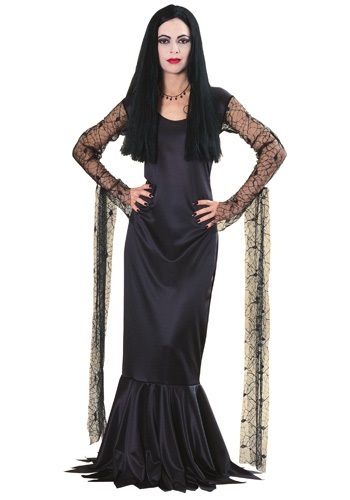 Of get gothed up as Morticia, the vampire-esque mother with a pale complexion, long black hair and a slinky black gown that ends in a train of octopus-like tendrils. 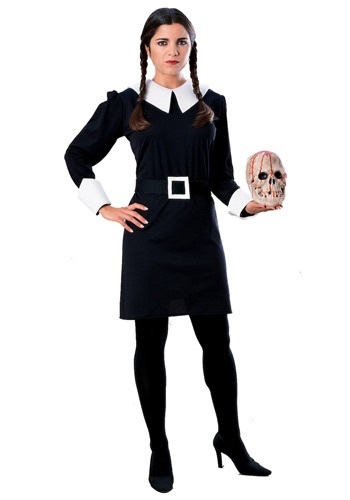 Children can dress as the daughter “oh-woe-is-me” Wednesday or the diabolical son Pugsley. Don’t forget about other members of the family including the dismember hand “Thing”, Uncle Fester and the tall, ghoulish butler named Lurch.